Christian Science was introduced to the Nashville community around 1891. The first charter was issued in 1904. First Church of Christ, Scientist, Nashville was organized on January 2, 1905 and held its first service on January 8, 1905 at the Lindsey Building. 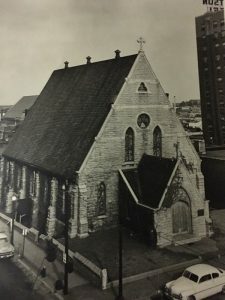 In 1910 the members bought and renovated the Episcopal Church of the Advent, a historic building, located at Seventh and Commerce Street. The First Church of Christ, Scientist was dedicated on November 6, 1910. Today the Church is located at 2911 Hillsboro Pike. It was built in 1962. It is a branch of The First Church of Christ, Scientist, Boston, MA, which was founded in 1879 by Mary Baker Eddy.